In the shadowy world of covert operations it’s hard to tell the good guys from the bad. Is there even room for romance? Sometimes romance fits in only too well. Read along with the twists and turns of “Eyes Only” where trust is a rare commodity and you’ll never know which side to root for until the very end. “I dunno, maybe I had a wild hair that night or maybe I was going a little bit stir crazy. In any case, I think Charlie sensed it and that’s why he made the suggestion. So this one time, I decided I’d go to the restricted bar. What harm could it do? I’d have a few drinks with Charlie, hear some old Marine stories, and call it a night. H.K. Sterling is an author with Breathless Press known for stories with imagination, intelligence, a kick, and twist endings. H.K. likes to focus her writing on suspense, science-fiction, shorts, and anything that is spicy and unexpected. Sometimes her books may even go dark. H.K. lives in Virginia with her husband who graciously puts up with her passion for writing. H.K. currently has a Mystery/Thriller out: A Taste For Killing; and two short stories in the Breathless Press Anthology, My Bloody Valentine. 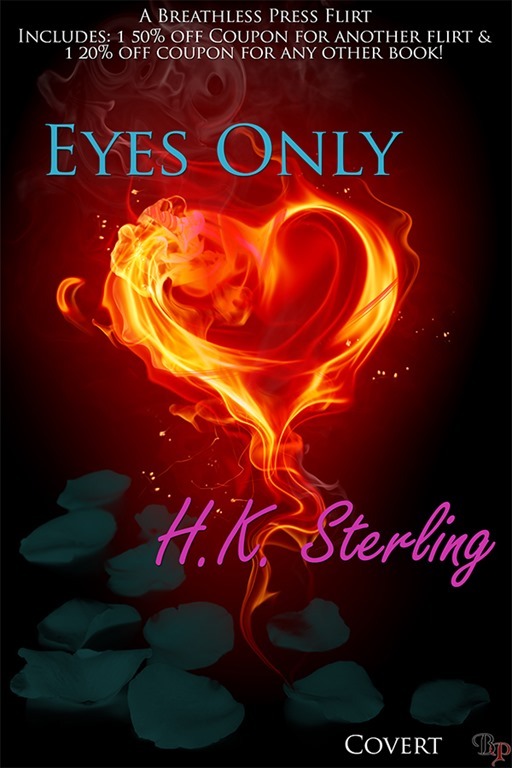 Her new book, A Taste For Danger has just been accepted for publication and Breathless Press also just published H.K.’s short-short titled Eyes Only. H.K.’s books are suitable for 18+. 5 Kindle Copies of “A Taste For Killing” (mystery romance 18+).